has been awarded a B.R.A.G. Medallion. B.R.A.G. stands for Book Readers Appreciation Group and of the titles submitted to it for consideration, only 20-25% achieve a medallion. The Marigold Chain now joins A Splendid Defiance in gaining this honour. Congratulations Stella on another B.R.A.G award. The Marigold Chain is a particular favourite of mine. The audio as well. Thank you, Deborah. Actually, I just found out this evening that The Parfit Knight has also earned a BRAG medallion. It’s been quite a week, getting 3 in a row! You must be very pleased with three in a row. The Parfit Knight was the next book I read after discovering the Wicked Cousin. This is marvellous news – Marigold is my favourite (well, as much as one can name a favourite among your books) and deserves all kinds of praise. Congratulations! Thanks, Agnes. 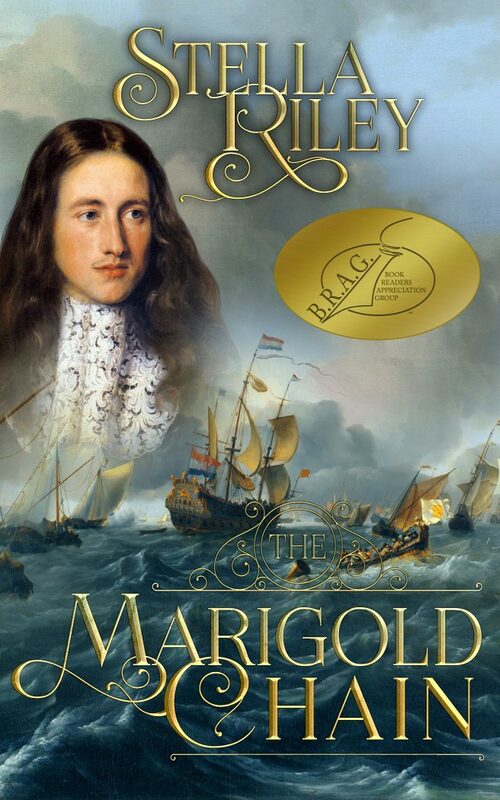 I’m delighted that Marigold (both book and audio) have done so well with readers/listeners as well as each getting awards. In the past, the book has had mixed receptions so this is particularly good news. Previous Previous post: A Readers’ Favorite Award for THE PLAYER! Next Next post: 3 in a row! It’s a hat-trick!